Mesquite Dunes in Death Valley, CA . Mesquite Dunes are one of the most visited dunes in the park. They are right off the road near Stovepipe Wells and require little walking to get to them. The sand dunes are constantly changing shape with the prevailing winds moving the sand around. Mesquite Dunes cover a vast area of shadowed ripples, and graceful linear, crescent, and star-shapes. 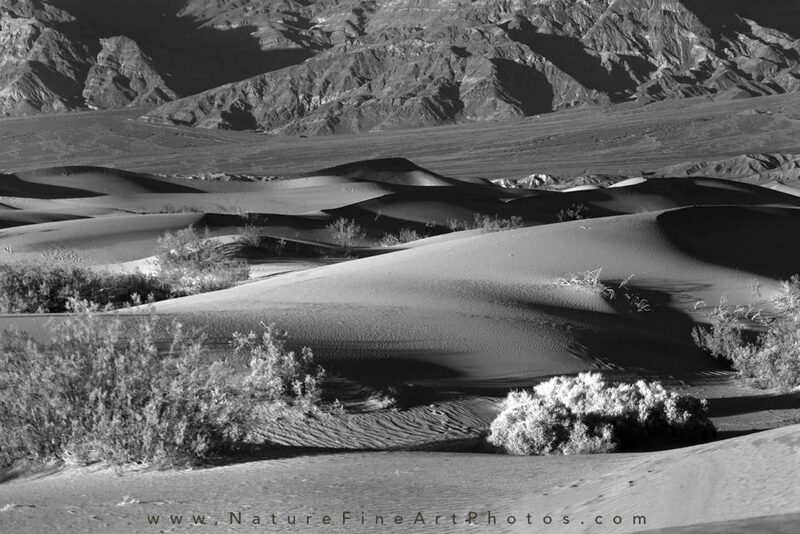 Some people like to walk on the dunes, and others spend time photographing the stark elegant curves.